The Holo Petals collection from Black Dahlia consists of six polishes; three scattered holos and three linear holos. These launched earlier in April for spring and are available now! Every single one of these polish's formula is phenomenal. A smooth easy to apply formula goes a long way with me, especially when they're nearly opaque in one coat! If I were a bit more heavy handed, I could have gotten away with one, but I wore two coats for all the photos. 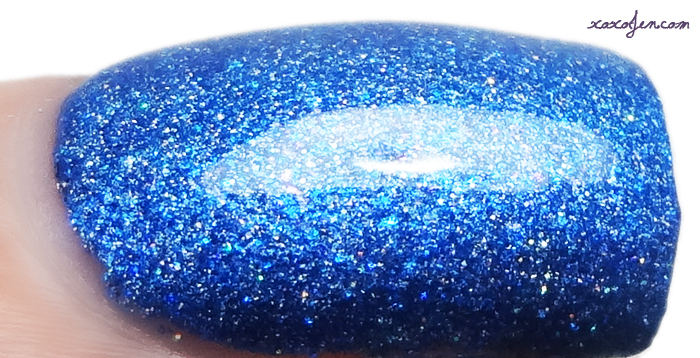 The glitters and glass flecks in these really add dimension and make them unique. I hope you enjoy the photos! All of these pretty polishes and more are available on http://www.blackdahlialacquer.com/. My favorites of the collection would have to be Lilacs in Lava and Moonlight Daisy. Which ones are your favorites? :D Thank you! That is a clever way to do it! This is such a lovely collection especially Moonlight Daisy!